When a team official came into the office of Andy Haines, the New Orleans Zephyrs’ manager, to give him a box score, Haines laughed and joked that he would rather not even look at it. The Oklahoma City Redhawks collected 17 hits and delivered a 12-0 shellacking to the Zephyrs on Tuesday, draining any enthusiasm from the crowd at Zephyr Field. The game quickly got out of hand. After retiring the first two batters, the Zephyrs’ starting pitcher, Brian Flynn, allowed the Redhawks to load the bases before working his way out of trouble. He was not so fortunate in the second inning, when the Redhawks loaded the bases again with no one out. They went on to score five runs in the inning on five hits punctuated by an RBI single by Robbie Grossman and a two-run double by Max Stassi (who finished 4-for-4 at the plate with four RBIs). Flynn allowed an unearned run in the third inning before his day was done. He trudged through three innings, while allowing six runs on eight hits. 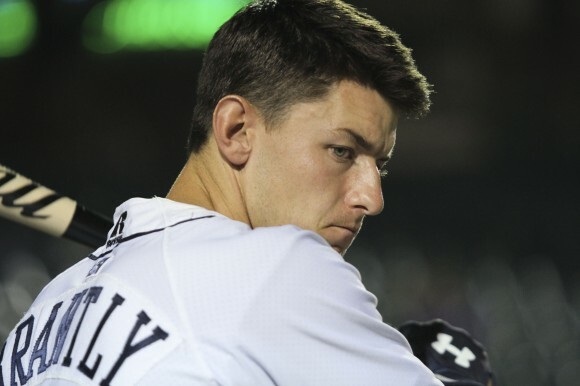 The Zephyrs’ bullpen did not offer much relief. Jesus Sanchez lasted two innings but surrendered five runs on five hits that included a three-run home run by Gregorio Petit. 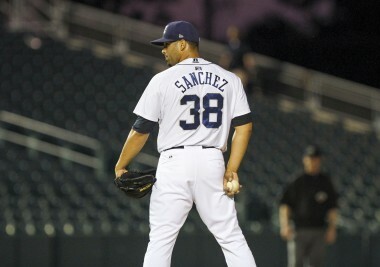 By the time the ball landed beyond the left-center-field fence, Sanchez was staring at the ground. The Redhawks had built an 11-0 lead in the fifth inning, and the game was all but decided. With each inning afterward, the Zephyrs seemed to jog off the field a bit more slowly and run to first base with less and less enthusiasm. This was an uncharacteristic start for Flynn (4-3), one of the Zephyrs’ most dependable starters this season. He entered the game a winner of four of his last six starts. Flynn, an Oklahoma native, has struggled in his career against Oklahoma City (25-21). He entered the game with a career record of 1-4 and a 4.08 ERA. The Zephyrs offense had no answer for the Redhawks starting pitcher, Jake Buchanan. He needed 97 pitches to complete the second complete-game shutout of his career. Buchanan surrendered six hits and struck out 10. “I don’t know if you can throw much better than that,” Haines said. By contrast, four Zephyrs pitchers combined for 195 pitches and issued a season-high 10 walks. The Zephyrs (20-25) had won back-to-back games and are in the middle of an eight-game homestand through Monday. They continued this series against Oklahoma City today at 11 a.m.